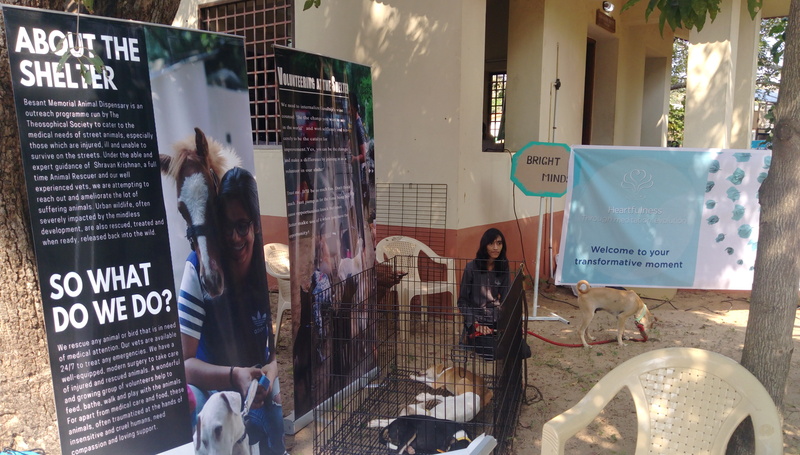 Besant Memorial Animal Dispensary (BMAD), an animal shelter and rehabilitation initiative came to Reciprocity Fest for an awareness drive. They have over 80 dogs and around 30 puppies in need of new homes. The initiative is funded by the Theosophical Society and has been in motion for the past 10 months. ‘We take care of abandonment dogs and old dogs that cannot fend for themselves’ says Karthik, a volunteer at BMAD. ‘It is a peaceful and fulfilling experience to work here’ he added. Elizabeth, a four-month-old mongrel who was rescued by the volunteers after she was run over by a bike is looking for a home. Three more mongrels like her, all of them nurtured and brought back to life by the volunteers, would love to be a part of your family. Day 2 starts with a bang!